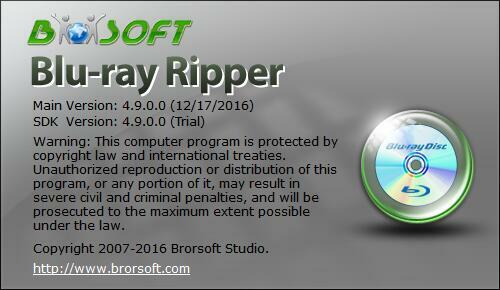 Recently, Brorsoft Studio upgrade all the Windows program to version 4.9.0.0, including DVD Ripper, Blu-ray Ripper, Video Converter, MTS/M2TS Converter, MXF Converter, FLV Converter, MKV Converter and Ultimate, the biggest upgrade is supporting NVIDIA CUDA acceleration when video encoding/decoding by both H.264 and H.265 codec. It is well known that the video encoding process is a very CPU intensive process, especially when you perform a H.265 codec encoding process. If the Graphics card on your computer supports Maxwell(GM2016) or Pascal GPU technolgy, you can large accelerate H.264/H.264 encoding speed by taking the Nvidia CUDA and AMD APP technology offered by all Pavtube newly upgraded 4.9.0.0 windows software. The encoding speed of all mentioned Windows software will be 6X faster than before. Meanwhile, more CPU resources are spared for other applications, that is to say, your computer will run much smoother and faster than ever before. Put it into simple way, it will reduce lots of time when you encod Blu-ray or DVD disc or online downloads from Amazon, Netflix, YouTube, etc into main stream video compression codec H.264 for easily viewing the content on smartphone, tablets, game consoles, TVs, etc, or encode BD/DVD/video to the new H.265 codec in 4K resolution for streaming to 4K TV view or for storage in high quality but small file size. MKB62 is the new disc encryption used by many newly released Blu-ray disc. Wish to get full access to all your newly purchased movies to conveniently view them on your computer, media players, smartphones, tablets, game consoles, TVs, etc. Now, with Pavtube Windows Blu-ray Ripper software including Blu-ray Ripper and Ultimate, you can easily bypass Blu-ray movies equipped with the new MKB62, MKB61 and also other copy and region protection such as BD+, AACS, etc. The problem not occur in every computer and mac, some users feedback last month, in 4.9.0.0 version we fix the bug as well as some other known bugs. Please feel free to feedback all the issue when using Brorsoft program, send to support@brorsoft.com, we’ll appreciate your feedback.